Why won’t online banking accept my mobile deposit? 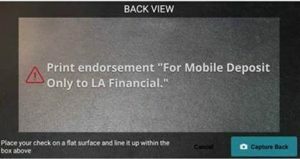 “For Mobile Deposit Only to LA Financial” must be included in the endorsement area on the back of all checks deposited via Mobile Deposit. Please do not use cursive on the back of your check. Printing will help ensure your check is accepted. Dark blue or black ink is best. Felt tipped pens are not generally accepted. Checking a box that states “For Mobile Deposit” will not be accepted. The correct phrase must be written on the check. Rubber stamps that contain “For Mobile Deposit Only to LA Financial” can be used, as long as it is dark blue or black ink, and it is clear. If the Mobile Endorsement is not present, you will get an error message as shown below. 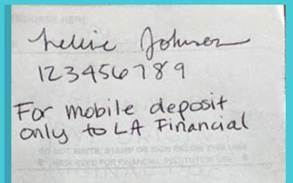 Write the correct mobile endorsement on the back of the check, and retake the picture. What is an SAC code? SAC is short for security access code. You will now be required to obtain a security access code when logging into your online or mobile banking account for the first time, or if a device has not been registered. At times, you may also be required to obtain a security access code to confirm certain transaction requests, such are large dollar transfers. Are there any new features available in the new online banking system? Yes, we have some great new features available now and in the future as a result of this new online and mobile banking system. 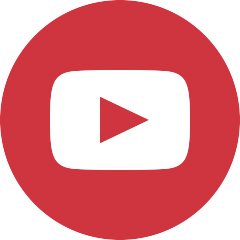 You will be able to update your contact information with us. Select from a variety of account and security alerts to notify you of transactions or changes to your account. The ability to send money to your friends and family through our People Pay feature. The ability to send money to your account at another financial insitution through our External Transfer feature. Request to skip your loan payment online (based on qualification). A variety of options for making payments to your auto and personal loans with us. 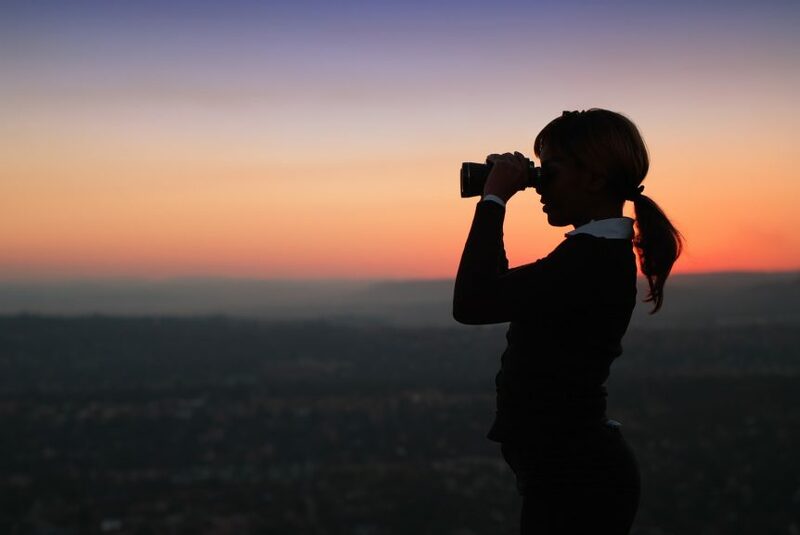 How can I transfer money to another LA Financial member? From the menu, go to Move Money and select Member to Member. As long as you have the other member’s account number and their Share/Loan ID #, you can request to transfer a deposit to their account. This is the quickest way to transfer money to another LA Financial CU member. How can I transfer money to someone who is not an LA Financial member? We are currently working on this feature and expect to have it available soon. Can I transfer money to my account at another financial institution? Why can’t I make a mobile deposit with my phone? If mobile deposit privilege is granted, you will find access in the Move Money menu. 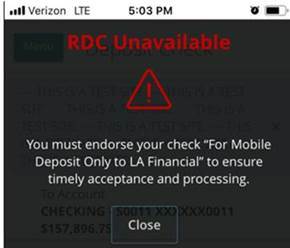 As an added service, mobile deposit access is a privilege granted to a member who’s account has been open at least 30 days, and is a member in good standing with LA Financial. How can I access information about my LA Financial credit card or make a credit card payment? You can find an access link to your LA Financial credit card by selecting Services then Visa Card Access from the menu. How can I access information about my LA Financial mortgage loan or make a mortgage payment? You can find an access link to your LA Financial mortgage loan by selecting Services then Mortgage Access from the menu. There you can login to your Mortgage Center and view information or make a payment.